You may or may not advocate handwritten thank-you notes in your home; no doubt, you have your reasons either way. Some folks believe the practice is outdated and the idea shouldn’t be forced on unwilling kids. Others learned when they were young that writing letters of thanks after receiving presents was polite and want their kids to do the same. Perhaps no one is right or wrong, but kids can benefit from expressing their gratitude by writing thank-you notes. Here’s how. 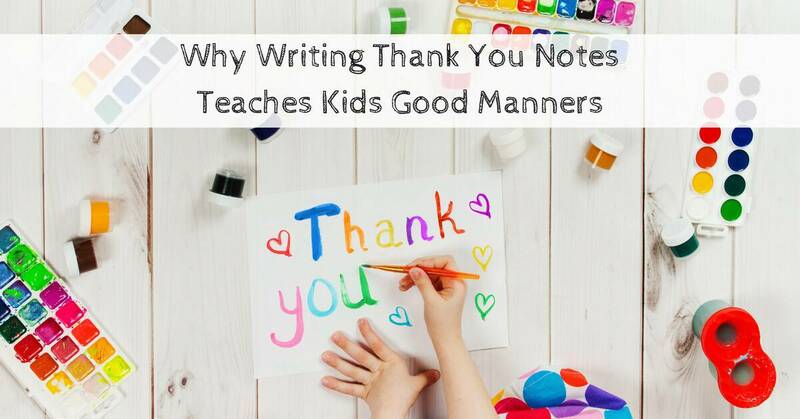 The act of writing thank-you notes makes kids think about the thought and care that goes into buying and wrapping the toys and gadgets they receive. The gifts themselves are super exciting, of course. However, realizing friends and relatives care enough to be thoughtful adds a positive emotional aspect to receiving presents. There’s more to gratitude than the recognition that gifts come from someone rather than appearing out of the blue. Studies show the art of being grateful makes people happy; it’s a well-being tool. Once kids tune into gratitude, they can use it in all areas of life to boost happiness. Many kids use computers instead of writing words on paper. Nonetheless, research reveals there’s a connection between expressing feelings in written form and well-being. Kids who get used to writing about what’s on their minds, whether to say thanks for gifts or share how they feel about events in a journal, can reduce stress. If your child practices this type of writing, he or she might continue to write, not only to express gratitude but also for enjoyment and anxiety reduction later in life. Teach your kids good manners, and they will thank you somewhere down the road of life. Etiquette is a useful social tool that makes people stand out from the crowd–it helps them forge friendships and make a terrific impression. The habit of being polite gained from writing thank-you notes will give them the edge as they mature. Handwritten thank-you notes are just one way your kids can show appreciation for gifts. Nevertheless, putting gratitude down on paper rather than using another method is beneficial since doing so teaches them life lessons you won’t want them to miss.